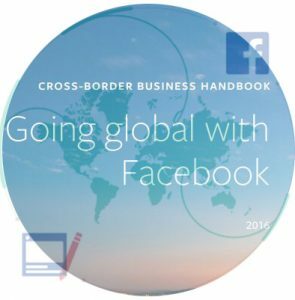 Facebook has launched several new tools for business owners to expand internationally, and a 64-page guide book has been made available for download, providing detailed data analyses on the potential and impact of Facebook marketing, global success stories, and instructions on effective promotion and campaigning methods. Moran and Gossieaux (2010) suggested that social networking sites are valuable due to the potential to increase demand for products; the ability to identify key influences, and provide insights about consumer wants and needs (Neill and Moody 1). The launch of improved tools is sure in accordance with its identity as the largest social network site. New targeting features added to the lookalike audiences tool allow business owners to reach out to customers in new countries who are similar to existing one. Those similar customers are more likely to be interested in the product, which makes this effort more effective. In order to realize this function, the business owners simply need to upload a list of existing customers or high-potential leads, Facebook will then be responsible for all the searching and matching afterwards. This function cannot be realized without the powerful database of Facebook generated once individual create an account or even before that act. The targeting features of Facebook also fit into the surveillance model of acquiring information, which is non-disruptive, surreptitious, and centralized(Philip E. Agre 742). By doing so, Facebook can better analyze the trends and integrate the needs of large amount of users, and then provide improved affordances(Gibson 127) to them. The new function designed on web interface allows users to know what them can do, and meanwhile encourages the use by other cognitive and sensory affordances(Stanfill 1065-1066). 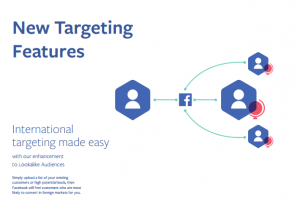 Facebook business will also be sending more customized advertisement pieces to individuals from different countries, different backgrounds, and with different preferences. It will send ads to selected regions, and will optimize delivery to countries with the greatest return. Facebook’s business model focuses on tools that allow business to reach new and existing customers through pages and advertising(Deloitte, Global Economic Impact of Facebook 1). The more targeted ads allow business owners to maximize their promotion and marketing effect with minimum investment. Targeted advertising help business grow sales locally, nationally and internationally; reduce barriers to marketing; and raise brand recognition worldwide. The cost-effectiveness of advertising is derived from the ability to target the relevant audience(Deloitte, Global Economic Impact of Facebook 6). On the Facebook business page, you can see various targeting options, including location, demographics, interests, behaviors, connections, and partner categories. They also provide tutorial videos to teach how to choose the advert audience, followed by written manual step by step. In the 64-page guidebook, several success stories are shared. 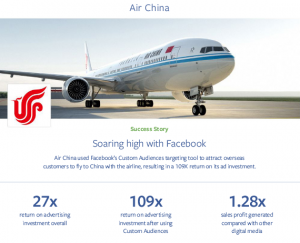 For example, Air China used Facebook’s Custom Audiences targeting tool to attract overseas customers to fly to China with the airline, resulting in a 109X return on its ad investment(Facebook guidebook 51). With the aim of improving brand’s awareness overseas, their ads were precisely targeted to reach different groups, including frequent flyers, travelers, and website visitors. The company’s return on advertising investment roared from 27X to 109X, realizing great economic and social effects. Facebook also announced new resources to help businesses optimize more effective campaigns through a series of webinars and a comprehensive hand book. Earlier this year, it made alive “Join Our Webinar Series to Home your Facebook Marketing Strategy” with eight episodes. 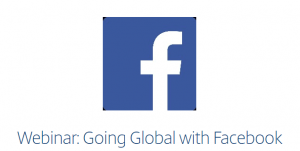 The content ranged from methods to practices and from platforms to going global plan. More recently, “Take your Business to the Next Level with our Webinar Series” has been published. They will lead business owners to this year’s hottest topics including how to use Instagram in your marketing strategy, crafting video for mobile, performance marketing best practices, what you need to know to plan your holiday 2016 campaign and much more(Facebook,2016). The idea of providing guidance and webinars fits well into the capture model(Philip E. Agre), which assimilates human activities to computer language, creating a structure for users to follow and behave. Facebook parsed the learning process, and organized the parts into sequential activities. According to the survey “Can Facebook be an effective mechanism for generating growth and value in small businesses?” , author John Hopkins concludes that Facebook can offer business both direct and indirect value, which is value of transactions, quantified by the increase in turnover experienced through connecting with new customers, and organizational growth, and the indirect value of word-of-mouth enabled by individual social network(John Hopkins 1).